Results show promise for organic groves, but more research is needed. The study, funded by the UNFI Foundation and published in the Jan. 20 issue of the scientific journal International Journal of Horticulture, Agriculture and Food Science, consolidates existing literature on allowable methods for combating citrus greening in organic groves. 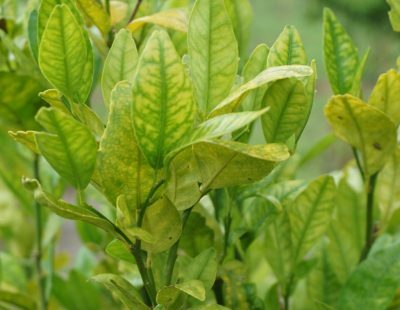 While research specifically targeted at the control of citrus greening in organic systems is very limited, numerous and diverse studies conducted in conventional systems have included non-chemical methods that potentially could be incorporated into organic protocols. However, because most studies that include organic-compliant methods are usually done in non-organic settings and in combination with treatments prohibited by the organic standards, a significant effort is needed to find and extract the organic-relevant information embedded. 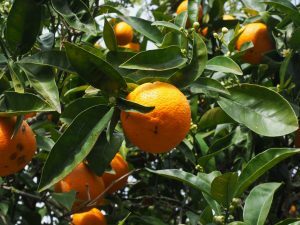 The Organic Center has been working with a team of growers, researchers and community members on the issue of citrus greening for several years. University of Florida (UF) researchers and other individuals and groups contributing to the work on organic solutions for citrus greening include Ellen Cochrane (UF), Jawwad Qureshi (UF), the late Philip Stansly (UF), Kim Bowman (U.S. Department of Agriculture, Agricultural Research Service), Reza Ehsani (formerly of UF), Michael Rogers (UF), Ronald Brlansky (UF), Fritz Roka (UF), Tracy Misiewicz, Ben McLean III (Uncle Matt’s Organic) and the Florida Organic Growers organization.